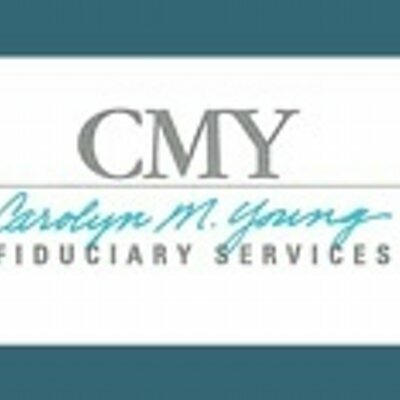 Carolyn M. Young has run her own fiduciary-services business since 1986. In doing so, she often is entrusted with others’ guardianship. Significantly, once she takes a position as someone’s fiduciary-services provider, she will continue to serve that client even after his or her money runs out. In cases where this happens, Carolyn M. Young proceeds by filling out government assistance applications and continuing to act as a fiduciary, working pro bono. Although Carolyn M. Young currently handles approximately $75 million in assets, 15 to 20 percent of her work is pro bono. Carolyn M. Young makes a wide range of decisions on a daily basis while acting in the best interests of her clients. Her duties related to fiduciary services include selling, storing, or renting property, filing income tax returns, and closing estates. In her fiduciary-services business, she wears many hats, filling the roles of conservator, executor, guardian, administrator, agent of powers of attorney, and trustee. Before entering the field of fiduciary services, Carolyn M. Young laid the foundations for her career with a Bachelor of Arts in Sociology from California State University, Sacramento. In her current position, she maintains connections with other professionals and adheres to the highest standards of professional legitimacy with her membership in the Professional Fiduciary Association of California. Carolyn M. Young enjoys spending free time with her grandchildren, visiting the theater, cooking, and traveling. As the grandmother of a child with Type 1 diabetes, she and her family are committed to the mission of the Juvenile Diabetes Research Foundation.